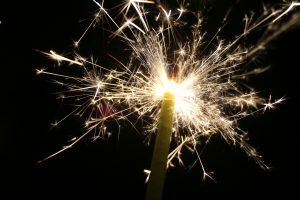 Diwali spells danger for your skin! You are at:Home»CATEGORY»Diwali spells danger for your skin! Dr. Deepali Bhardwaj lists out ways to safeguard your skin this Diwali as pollution will reach dangerously high levels. According to a report by System of Air Quality and Weather Forecasting and Research (SAFAR), the pollution levels recorded in Delhi a day after Diwali last year were much higher than ever before and almost completely poisonous for humans. 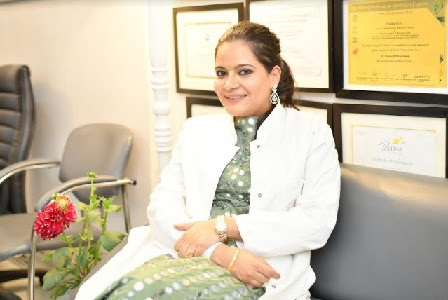 “This calls for immediate action on the part of the government and the citizens together, as the PM particles directly affect the respiratory system and skin, causing allergies that can have a long term effect on the patient,” says Dr Deepali Bhardwaj, one of the leading dermatologists in India. She thinks it’s not just Diwali but environmental, emotional and various stresses, which are playing up. Therefore, it’s important to protect oneself from allergies in the face of increasing pollution. Keeping indoor plants such as aloe vera, mother-in-law tongue, Alecia palms and other indoor plants is a good way of purifying the air around you. Having adequate water intake throughout the day is vital. For adults, 4-5 litres/day is recommended. Washing face with plain water after stepping in from outside is a must. Certain accessories such as jewellery and watches as well as perfumes and deodorants can trigger autoimmune skin disorders and skin allergies. Always wear a sunblock. The sunblock should have barrier agents like zinc oxide or titanium dioxide. With light, the pollutants enter our skin. UV light is also emitted from various kinds of festival decorative lights and firecrackers. So, sunblock is necessary. You can be put it on as base before make-up for Diwali parties. If the skin on your face or body is dry, take immediate steps to moisturise it. The side effects of pollution will increase accordingly. Adding a few drops of olive or sesame or apricot oil in your bath water to bathe with neck down or using it as last rinse after shower helps form a coat of oil on the body. For the face, stick to moisturisers rich in antioxidants and vitamin C and E.
If any redness occurs, immediately apply cold water or ice on the area. Applying plain curd and washing is alos helpful. For superficial burn, do not apply burn creams. Put only ice, cold water, curd or pure aloe vera gel. Applying calamine lotion to soothe the burn till you visit a doctor. Do not delay visiting your doctor if you are having persistent cough or dry skin as various new diseases and altered skin and lung disorders are on the rise. As Delhi is affected with dangerous level of air pollution, ensure intake of vitamin C, omega fatty acids, tulsi, ginger, lemon and magnesium rich food. These will help you to reduce the effect of air pollution. Dr Deepali Bhardwaj, M.B.B.S, MD (USA.IM), DVDL, M.Phil (Cosmetology), Allergy Fellowship Munich, Germany; Cosmetic surgeries, Iran.